We are expert in manufacturing engineering polymer components, bottling machines, bottle filling machines from material like UHMWPE, PEEK & CAST POLYURETHANE (PU) that are in great demand in various industrial areas and its application area is diverse. These polymer components includes chain guides, star-wheels, belt guides, In-feed worms, spares of all bottling equipments & much more pertaining to the application. We also help our customer for design development. We use quality raw material procured from certified and reliable vendors. Apart from this, we also test our material & components at several parameters to assure durability and quality standards. 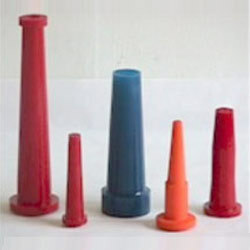 Features: Indian Polyurethane Products Excellent abrasion resistance. Impact and shock resistance. Hydraulic stability. Good maintainability. High load bearing capacity. Controlled co-efficient of friction. Good bonding to metal, wood & plastics. Oil grease & chemical resistance. Ozone oxygen & radiation resistance. Wide temperature stability (-40 to 100oC). Shree Polymers boast of its constant growth since inception in 1992 as the manufacturer and exporter of different types of polymer products. We are fabricating CastPolyurethaneProducts, with the vision to meet various requirements of customers. 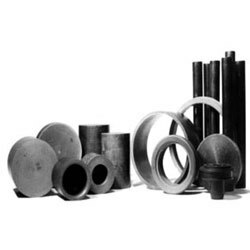 Having received appreciation from different clients, our polymer products are illustrated below: CastPolyurethaneProducts: These are offered in sheet tubes, sheets, rods and other molded components. It is extremely resistant against chemicals. Its salient features are excellent thermal resistance, superior mechanical resistance and exceptional electrical resistance. The application areas of cast polyurethane products are castor wheels, mining screens, scrappers, buffers, slurry tube and others. Excellent abrasion resistance. Impact and shock resistance. Hydraulic stability. Good mach inability. High load bearing capacity. Controlled co-efficient of friction. Good bonding to metal, wood & plastics. Oil grease & chemical resistance. Ozone oxygen & radiation resistance. Wide temperature stability (-40 to 100??C). Polyurethane Springs: Shree?? ?S polyurethane springs is the new wonder material which combines the strength of plastic & the elasticity of rubber. It eliminates the limitations of wire springs and rubber bushes. Wire springs have the tendency to break under high pressure and permanent set in a short time. It can sustain very high loads at higher hardness than rubber. Unlike rubber, It does not take part in weathering or chemical actions under normal conditions & does not disintegrate easily. Life expectancy is very high SHREE?? ?S PU SPRING PADS are ideally suited to press tools, jigs, fixtures, conveyors, machine tools, etc. where the actions of stripping, dampening, cushioning, resting or rolling is involved. PolymerPeekProducts: These products are used for extreme engineering wherein there are high wear and pressure conditions. 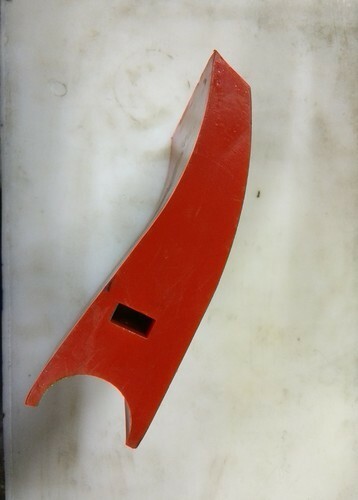 The material offers improved application performance, savings on cost and realizes high scope of design freedom. Few application areas of the peek polymers include gear pumps, valve plates & wear rings (in compressors), plunger pumps and others. Any customized application which could be developed after learning the application. Looking for “Engineering Polymer Components”?